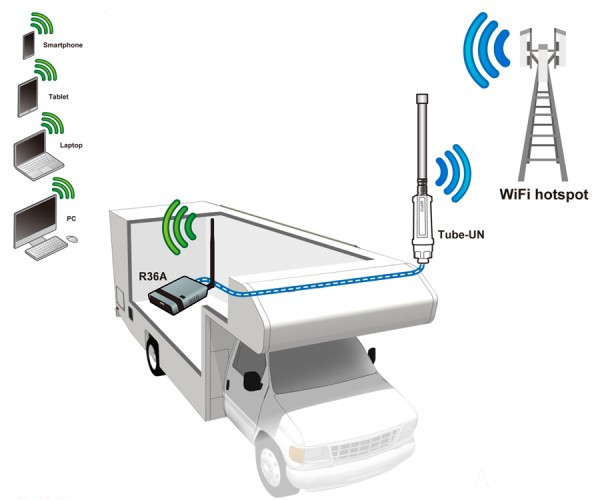 The Alfa R36AH wireless router / repeater enables connection of an AWUS036NH, AWUS036NEH or Tube-U (N) or ONYX4G LTE-Stick / Tube-U4G / Tube-U4Gv2 (UMTS and LTE) distribute an existing mobile / WLAN signal to local devices. Ideal for e.g. 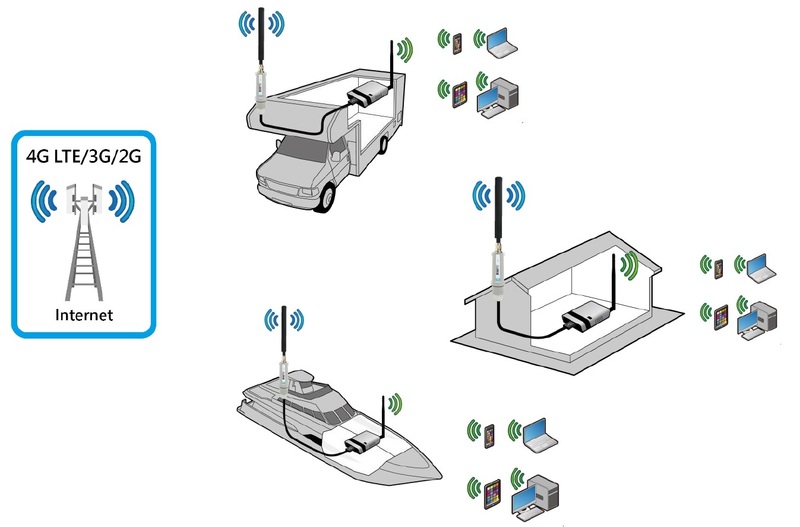 on the camping site or on the boat / ship an existing one Wireless or 3G / 4G signal to distribute local wireless devices. The Alfa Network R36AH is an allrounder that you rarely find. 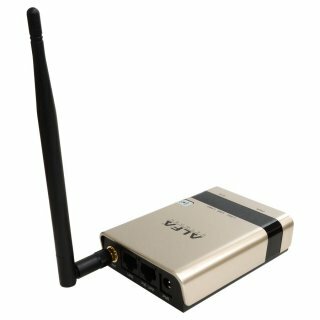 Due to its multiple interfaces (network for LAN and WLAN, USB for AWUS036NH, AWUS036NEH, Tube-U(N); Tube-U4G, Tube-U4Gv2 or RP-SMA for antennas) it offers numerous uses. 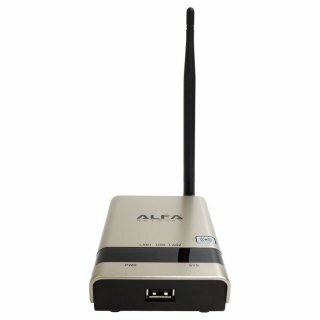 By using an alternative firmware (OpenWRT) Alfa R36AH offers almost endless possibilities. 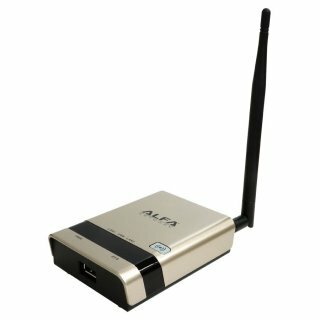 Alfa Network Wi-Fi adapters (AWUS036NH, AWUS036NEH, oder Tube-U (N)) can be connected to the existing USB port to receive existing Wi-Fi (even from long distances) and through the integrated access point to local Wi-Fi devices (Notebook, tablet, smartphone, etc.) distribute further. Ideal areas of application here are camping sites or boats on the harbor. On the existing USB port but not only wireless adapter but also UMTS sticks can be connected to a mobile signal (2G, 3G or 4G) to distribute via Wi-Fi. Thus, not every smartphone or tablet needs its own mobile phone contract but a SIM card can be used on holiday to provide multiple devices with Internet. 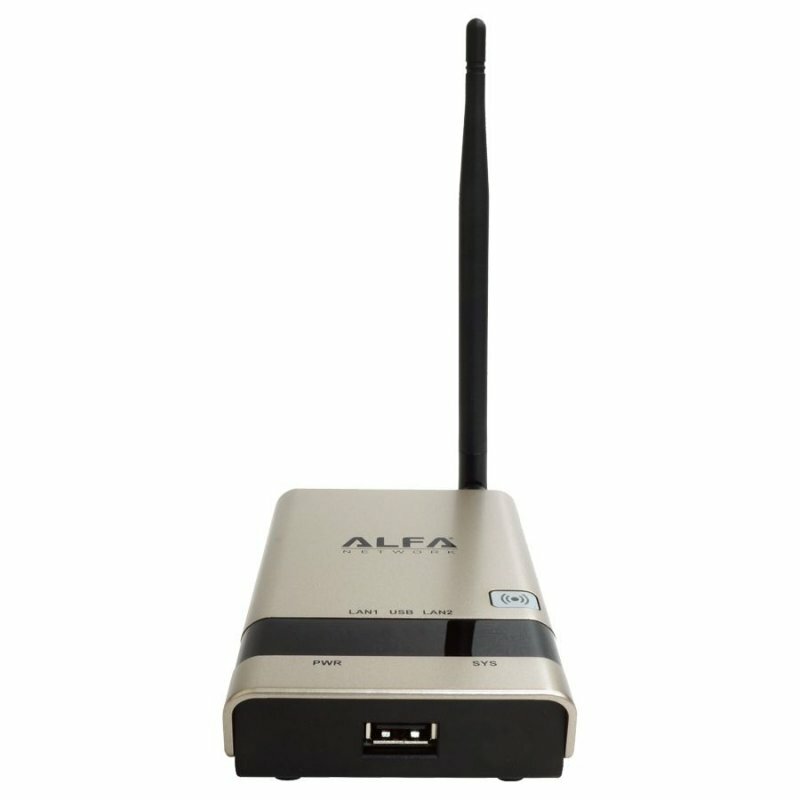 But also as a classic access point, the Alfa R36A can be used. Connect the Alfa R36A to your existing network via the LAN interface and configure the desired WLAN for your mobile devices via the user-friendly web interface.